Veterans Financial Assistance is available to local Will County Veterans that fall below the 150% Federal Poverty Level. The financial assistance is paid directly to vendors for Rent/Mortgage, Utilities, Food/Personal Needs, and Transportation. The VACWC requires that each landlord/mortgage holder sign a contract that establishes their understanding of Veterans Financial Assistance. Each company/individual paid by the VACWC is given a vendor identification number so that we may track the promptness of payment. To ensure that veterans are working toward self-sufficiency, the VAC mandates that all veterans receiving Veterans Financial Assistance, and are medically cleared to work, sign up for our Employment Assistance Program (EAP). The EAP helps veterans get jobs by leading them to the Subject Matter Experts in the community that specialize in employment needs. There is also an EAP meeting, held in the VACWC Boardroom, at the end of every month where a guest speaker from the community will come in and introduce their agency to our veterans. 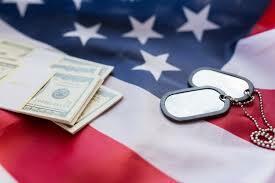 The veterans understand that it is their responsibility to complete the EAP program each month which is what qualifies them for Financial Assistance the following month. By combining macro and micro levels of case management, the EAP has been successful with job placement and retention for our veterans.